After dealing with demons, ghosts and poltergeists, you wouldn’t think the stars of Syfy’s “Ghost Hunters” would be bested by group of Colorado kids. Still, while investigating the case of a little boy haunted by dead celebrities, Jason Hawes wet his pants – and Grant Wilson, Hawes’ co-star of the supernatural reality-TV show, experienced much, much worse incontinence issues – before running out of the house screaming, all the way back to their homes in Rhode Island. Jason Hawes and Grant Wilson, meet Matt Stone and Trey Parker, the creators of Comedy Central’s “South Park.” In the Oct. 7 episode, the two co-founders of The Atlantic Paranormal Society (TAPS) – the paranormal investigative group around which the Syfy show is based – were spoofed. Far from being offended or incensed, Hawes and Wilson say they loved being made fun of alongside Michael Jackson and Billy Mays by a show notorious for taking the pulse of a zeitgeist before giving it a shot of adrenaline. 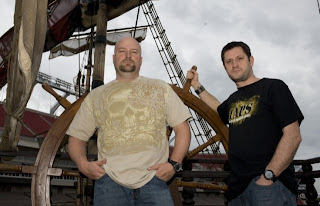 Although the ghost hunters weren’t involved with the making of the episode and didn’t lend voices to their animated counterparts, they helped promote it through their very active Twitter feeds and TAPS fans responded by pushing “#ghosthunters” to a popular “trending topic” of the day. For two guys with day jobs as Roto-Rooter plumbers who spent more than 20 years of free time in the company of scared homeowners with spectral squatters, this not-insignificant spoof by “South Park” is another indication that Hawes and Wilson, and the show that premiered in 2004 (on the erstwhile SCI FI Channel), have transcended the paranormal entertainment niche, become lasting pop-culture mainstays – and are the busiest men in the ghost business. “We never thought we’d make it this far,” he adds, speaking over the phone from his home in Rhode Island. These comments set the tone for much of the interview. 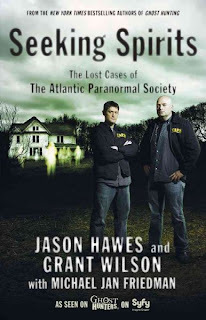 Like brothers from another mother, Hawes and Wilson typically agree with, harass, and finish one another’s sentences and both maintain a gee-whiz awareness of the long strange trip it’s been from plumbing to ghost hunting on a major cable network. But there is still plumbing to be done. “We still plumb. It’s just when production goes on hiatus, we go back to our normal lives,” say Hawes. Those normal lives include wives and a combined ghost-hunting brood of eight kids. And the duo both says those families is what all the work is for. While neither is complaining, the grueling schedule takes a toll on how and when they can be with their kids. That’s the background to the decision to not take part in a live Halloween night investigation this year. Instead of six hours of watching the TAPS team investigate, beginning at 7 p.m. on Oct. 31, EST, Syfy is airing a five-episode “interactive best-of” - as Wilson describes it - with members of “Academy,” hosted by Josh Gates of “Destination Truth” and supplemented by pre-recorded segments of Hawes and Wilson. These problems of dealing with cable networks and live investigations are definitely different than what their TAPS group experienced in its infancy. In “Seeking Spirits,” Hawes and Wilson, along with co-author Michael Jan Friedman, paint a picture of a young investigative group that travel long distances through blizzards to assist clients in need. Along the way, Hawes and Wilson developed theories, tested new equipment and grew into the televised group millions of viewers now know. But they never became experts in the paranormal field. 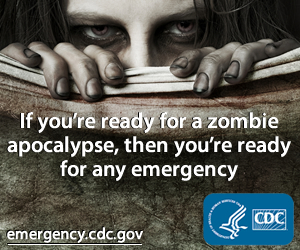 “There’s really no experts in this field. How can we be?” asks Hawes, who takes great pains to explain that the word “paranormal” means outside the ordinary, and currently beyond scientific definition. Besides, says Wilson, what they do is not just about interacting with spirits. In that statement, Wilson explains the now prevalent mantra among paranormal investigative groups that explains if you go into a supposedly haunted location looking for evidence of a ghost, everything will lead to believe just that. However, if you try to debunk and prove there is no ghost, what’s left unexplained just might lead to proof of the supernatural. In that regard, “Seeking Spirits” sums up the parallels between ghost hunting and fishing, where you cast a line, wait and eventually try different lures to get something to bite. “It’s not all a waiting game because you’re trying different techniques,” says Hawes. “If you’re in a house that has a child or somebody who believes they’re being attacked, scratched, whatever, a lot of times you need to change your investigation methods. At that point, you’re trying to instigate, you’re trying to provoke something to at least prove to you that it’s there so you can give validation to the family and also figure out your next step. Although they’ve the fanciest equipment a ghost hunter could hope for, like FLIR thermal cameras that detect heat signatures, Hawes and Wilson admit that they still find themselves on perplexing and frustrating cases like the demonic, elemental (nature spirits) and even perhaps alien cases mentioned in the new book. As such, TAPS frequently has to re-define a paranormal theory they’ve come to rely on for a long time. Hawes discusses a recent case referred to them by a church that wasn’t filmed for television. Apparently, a family believed they were plagued by an inhuman entity – meaning not an earthbound, deceased human still sticking around. While the experience was a new one for Hawes and Wilson, the interaction with clergy is not. Not featured prominently on the show, but mentioned often in the book, is the fact that TAPS works with churches and religions to assist people. Wilson also says that sometimes helping to rid a home of an entity can be directly related to a client’s belief system. Hawes adds that, on the show as opposed to in a book, names and faces are harder to change. “We’ve done cases of so-called possession since our show has been on, but we’ve never wanted to put that on television for the mere fact that we want to protect that person … the minute we’d do that, everyone online is either going to embrace them and understand them or destroy them. Within the book, however, Hawes says he and Wilson worked with Friedman to tell compelling stories that all took place prior to the show’s premiere. They also wanted to pass along practical investigative tips while being true to themselves and TAPS. “We helped shape it. It’s really a collective process,” says Wilson. “Yeah, because Grant and I can’t write for crap,” jokes Hawes. Still, there might be more writing in their future. Hawes and Wilson have been speaking with Jane Stine, wife of “Goosebumps” author R.L. Stine, about working together on a series of children’s books. They both agree on the point that while the “South Park” spoof was cool, being lampooned on fellow Rhode Islander Seth MacFarlane’s “Family Guy” would be more appropriate. It looks like MacFarlane has time, though, because Hawes and Wilson will be continuing their ghost hunting on Syfy for the moment. But they add that they do see an end in sight where they can tend to The Spalding Inn, the joint venture in New Hampshire.